Everything in baby size are always SO cute! 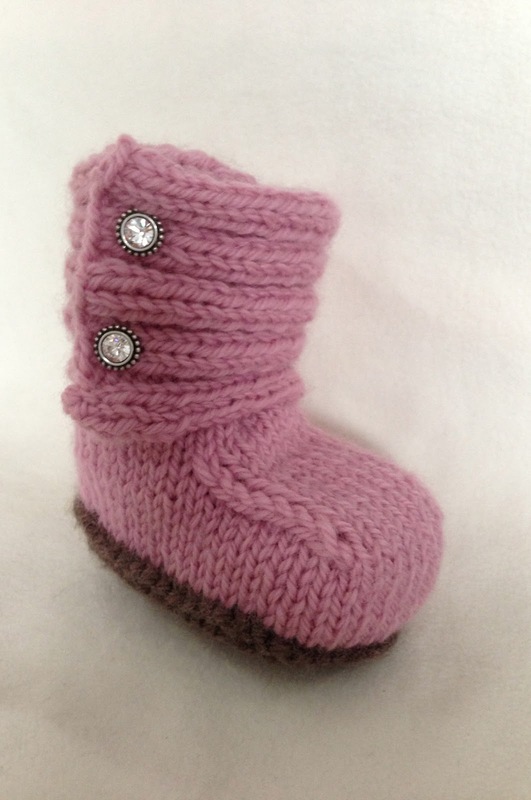 and these UGGs are no exception. Your little girl will look adorable in them! (don't worry, I'll be posting boy UGGs next week!) 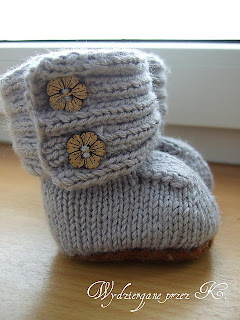 I found two different patterns and put them together to make the best little booties EVER! 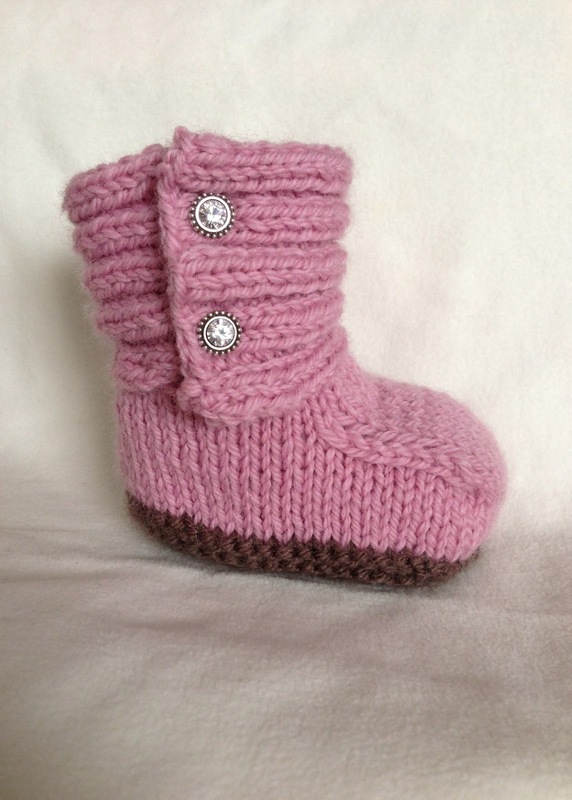 and most importantly, knit them the easiest way. 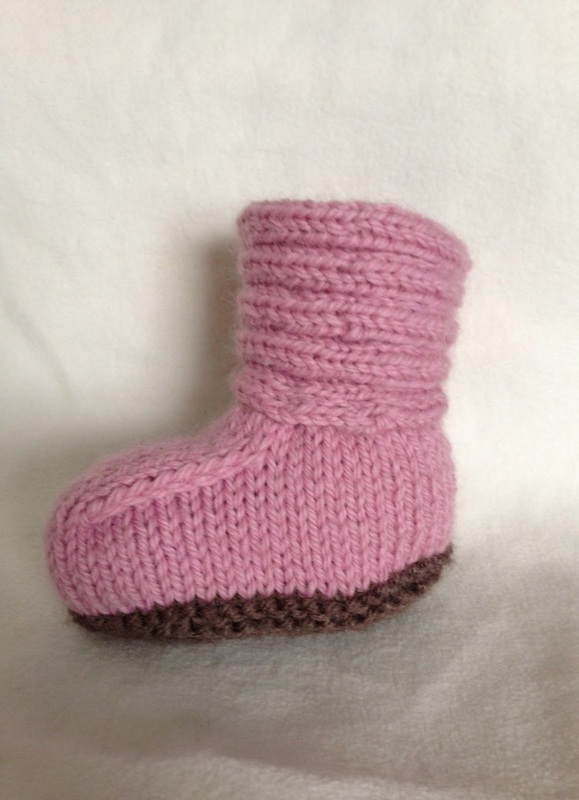 You can make these cute baby booties for size 3-6 and 9-12 months old. -Sizes 4 and 5 straight needles (or size to obtain gauge for smaller size), Size 5 and 6 straight needles (or size to obtain gauge for larger size) OR buy the needle set *MY FAVORITE!!! * Worth every penny, and you save $$$ because you can do everything with them! 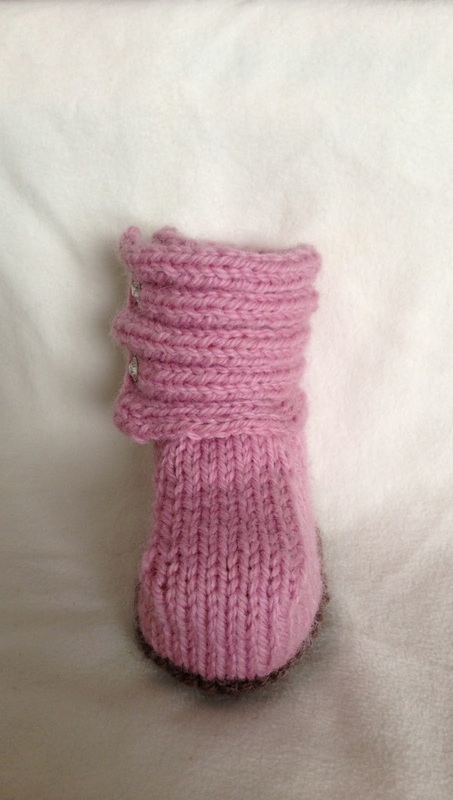 Note: Instead of knitting in stockinette stitch for 2", knit 1 row, purl 1 row, then bind off. knit as long as you need(approx. 76 rows). BO all sts. sew in upper to booties where the buttonholes are overlapping. 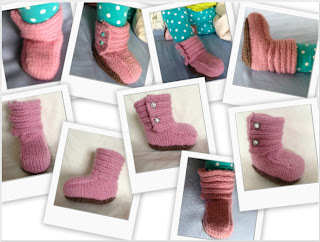 Wrote some on the blog but i quite didnt understand as just have two rolls pattern. I want to know too wich kind of garn is that white one. Thanks for the wonderful videos. Aren't they so cute?! I'm glad you like them :) Yes there is no way I could just go off by a video. I always have the written pattern linked underneath the video. I also have it on this post, where it says pattern by, click on the word pattern and it should take you there! Good luck! Let me know how it goes! Can you please repost the written pattern link. I have tried to click on it, but it doesn't take me to it. Thank you!!! Hey Rosalee, I clicked on both of the links, and they took me to the right page. Are you having trouble with the ribbing one? It might be because you have to sign up with Ravelry because it's a Ravelry download. On rows 5,7,9 do I do this? Row 5: k3, yf, k11, [yf, k4] twice, yf, k11, yf, k3. Row 9: k5, yf, k11, [yf, k7] twice, yf, k11, yf, k5.